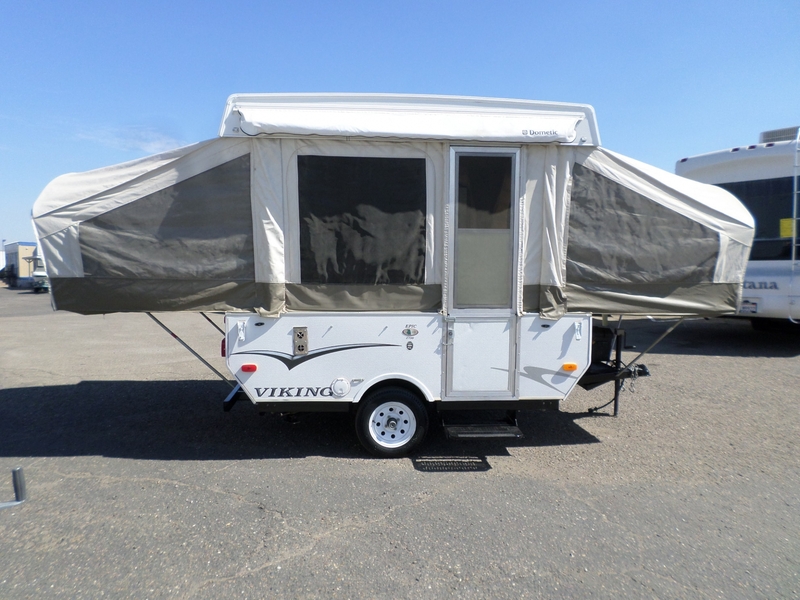 2010 Viking Epic 1706 Pop-Up Tent Trailer 17' . . .
Electric lift, semi-self-contained, stove, fridge, sink, table, sleeps 6, exterior awning, 5 gal propane tank, easy to park, very clean interior.